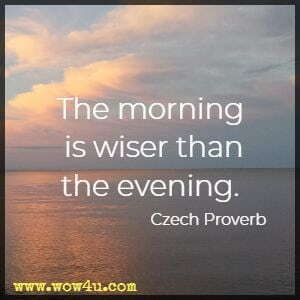 Let these funny good morning quotes bring a smile to your face and may the wisdom add a positive thought to your day! A good morning to you, remember to laugh this day. There is a saying, don't take life to seriously. So as you begin this day, remember to laugh during it! Let this day be one where you don't hold others up! 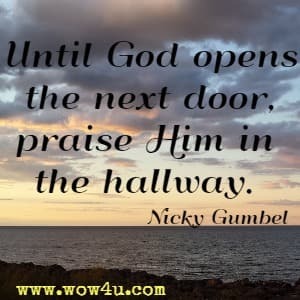 Even though there are things we would prefer not to do, do them, get them done - this will give your morning a boast, and will help you to have a good day, not just today, but tomorrow also! Funny but true words of wisdom for your day. 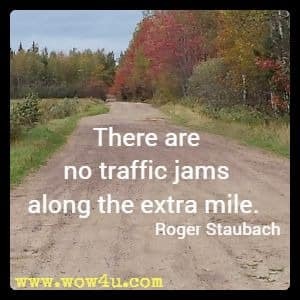 Go that extra mile it will make more difference than you realize! Good morning sleepy head! This quote is for you! All women can relate to this saying. Use your time today efficiently, don't let it get away from you! Yesterday is over, and yes it may have been a great day. But don't slack off this morning, each day is an opportunity to be the best you can be! 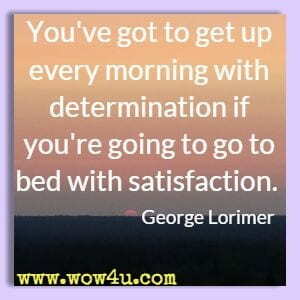 Get up and get at it! Keep your mind open to the possibilites that this day will bring. Good morning and what are your goals for the day? Don't wait for someone else to set them, set your own, and achieve them. And then tomorrow morning wake up and do the same! Wishing and dreaming will never bring success. Take action and move towards the goals you want to accomplish. Thomas Edison said this many years ago but it still holds wisdom for each of us. You don't get anything for nothing, you got to work for it each and every day. Do you talk about what you are going to do, or do you spend hours thinking about what you are going to do? Get up and start doing rather than just talking and thinking. What may seem impossible becomes possible when you start doing! To many times we think about how much we are paid by the hour. Want an increase in your salary - if you bring value to every hour you work you will find your salary will go up. A great quote to keep with you this morning. Well intentions may be good, actually doing is better. Don't let worry ruin your day. Many times as Mark Twain says, what we worry about does not happen. Have a great morning, take one thing at a time, don't worry. Early morning is the best time to dream, to think, and to clear your mind. The rest of the day is filled with obligations that slowly leech away your brain power, energy, and focus. Samantha Westwood, Rise and Shine!